In partnership with Killearn Church, the Raven Trust is project managing the building of a house in Mzuzu to provide accomodation for overseas visitors and volunteers who assist with various projects. The house used at present will no longer be available as it is needed to house Synod personel. 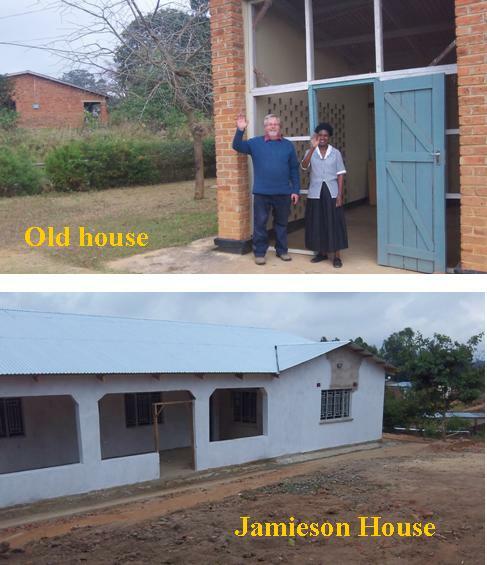 The new house has been given the name Jamieson in honour of the lady whose estate provided a trust fund administered by Killearn Church. The house is almost ready and, in September, John will say goodbye to the house used at present and move to Jamieson House to complete and furnish the building ready for occupation by other visitors.